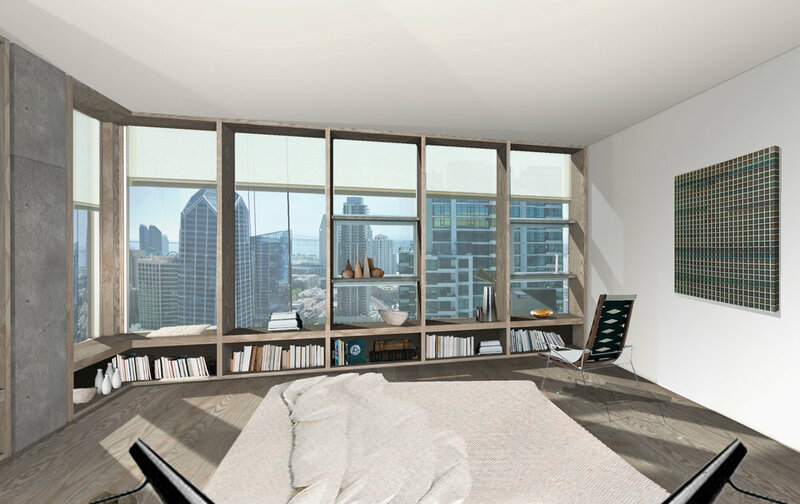 Sky Condo — Jeff Svitak Inc.
Sky Condo is a complete interior remodel, 36 stoires above the city of San Diego. 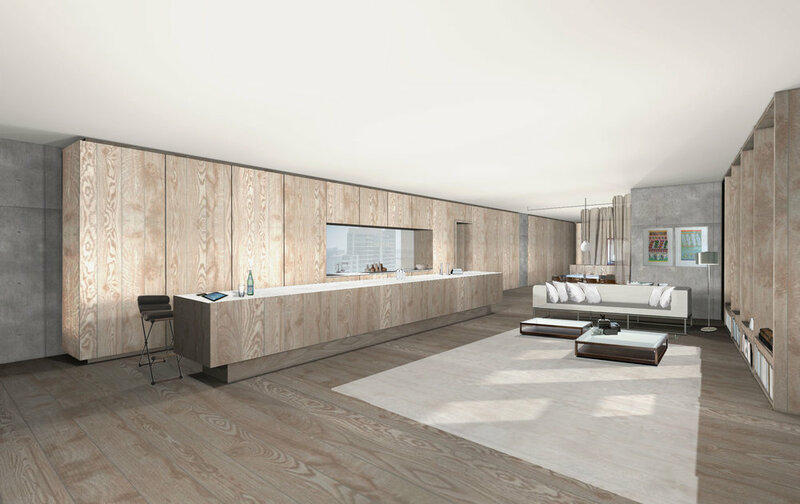 The existing space has commanding bay, ocean and city views which were compromised by an excess of interior walls. By elimiating these walls and opening the space to its extremity, the true essence of the space is unveiled. By opening over 72 lineal feet of this wall continously, the space feels as though it is literally "sailing" lightly above the city. By exposing the concrete structure, it also remains grounded, and delivers a sense of steadyness.